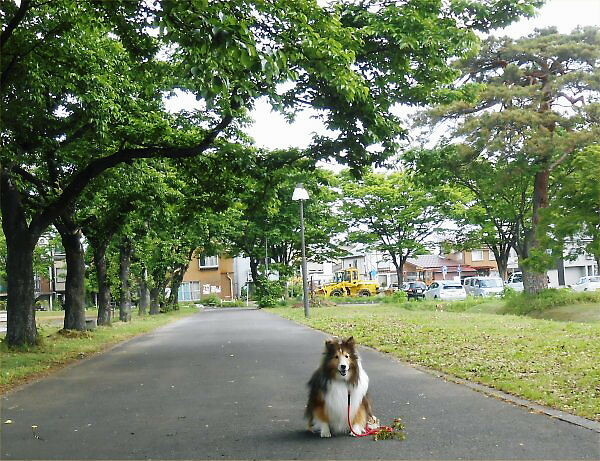 In the heavy snowfall of 2011, lots of boughs of “Ginkichi brothers, two ginkgo trees” were broken and became into near the electric poles in the spring of 2012. 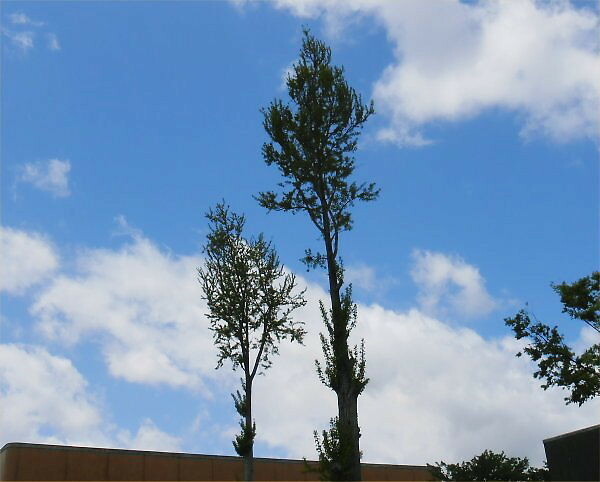 One year has passed since then; they are growing toward blue sky of this early summer. Yes, they are standing manly and powerfully as if nothing had happened. I’m sure they’ve got so many grouches, though. BTW, one of Yoshy’s old friends, Mr. K living in Nagaoka popped in Yoshy and R on Wednesday, May 22nd. We were presented a box of dumplings, “Eguchi-dango”, which is one of Nagaoka’s age-old local specialties. This was the first time to see and eat it; my family, too. Thanks, K! It was creating an aula of something old-era in simplicity. There’re many classic rakugo stories with “dango” as their themes, e.g. 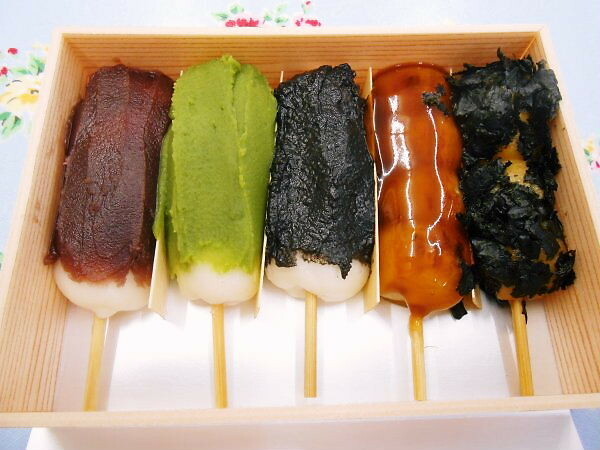 “Ikuyo-mochi”, “Okame-dango”, etc. That dango might have looked like this “Eguchi-dango”, Yoshy supposes. 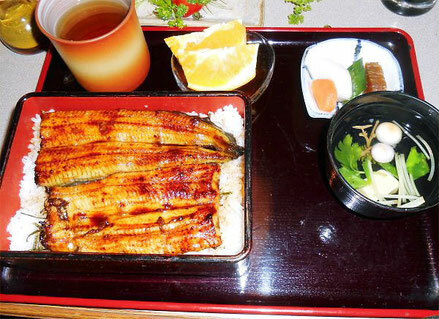 In lunch time, Mr. K and Yoshy enjoyed eating “a box with eel and rice” at an eel restaurant, “Kaneman”, which is located very near from Shihoya Bookstore, LL Shihoya Arai School; it takes only five minutes-walk. I’m sure any gastronomer will be satisfied with its taste; which should be called the best in Japan. The master is also one of Yoshy’s old friends. He has guts and stubbornness like “Ginkichi”; so to speak, this craftsman should be deserved the name of “a true or intrinsic Japanese gentleman”. He dislikes the customer who lack of good manners, obligation and humanity; if you had them enough, e-mail to Yoshy, then let me introduce his restaurant after reading your message, which means Yoshy becomes satisfied with your grace. :-) Yoshy's e-address is written below.